SEC-E9 Key Cutting Machine is a all-in-one key cutting and duplicating machine. Its embedded 8-inch tablet eases the machine use dramatically. Thanks to the built-in decoder and key reading capability, it’s the machine that is suitable for key duplicating as well as creating key from bitting. 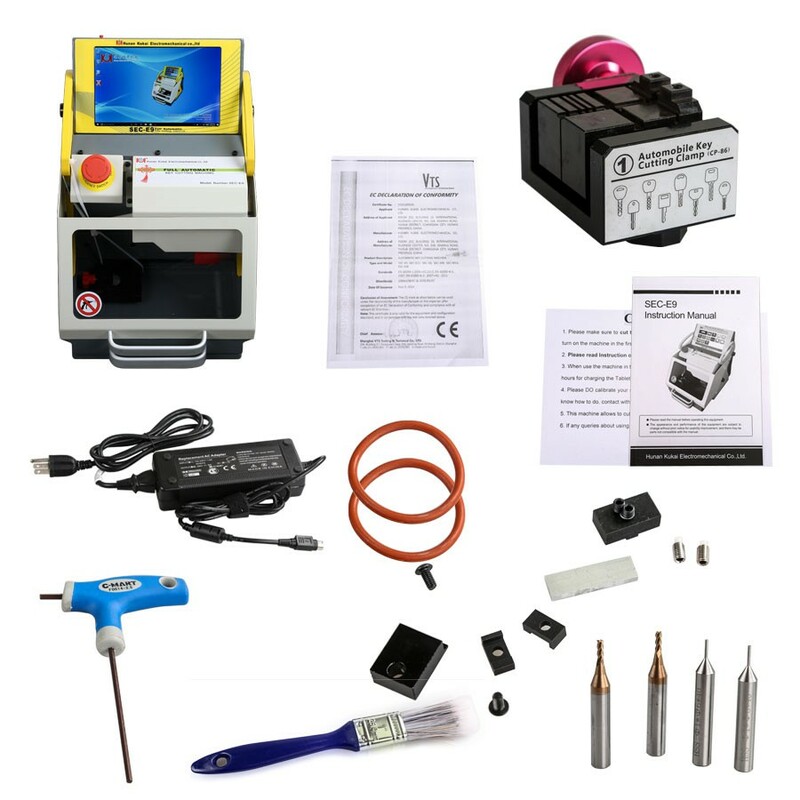 SEC-E9 Key Programmer portable metal desktop air cooling fully automatic smart key cutting machine is able to cut standard keys and high security keys, such as BMW, VW, HONDA, OPEL,etc, SEC-E9 also supports to cut house keys, including dimple keys, tubular keys, single standard keys and motorcycle keys. Ford Tibbe keys and LDV keys are available to cut. SEC-E9 is a good choice for locksmith since you do not need to buy other small key cutting machines for house keys, just need to buy the corresponding clamps for different key types. Moreover, SEC-E9 can cut a new key without original key. 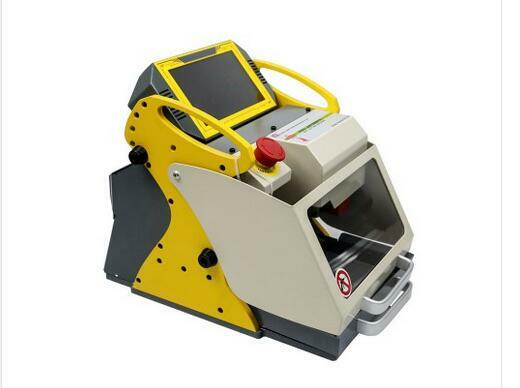 It is the main difference from the traditional manual key cutting machine. It’s like adding a turbocharger to Electronic Control Module downloads and uploads. Cummins new INLINE 7 Data Link Adapter has a faster processor, more robust algorithms, larger memory buffers and more sophisticated filtering than previous models while simultaneously accessing multiple vehicle data channels. INLINE 7 supports USB, WiFi and Bluetooth technologies in a single device. Cummins INLINE 7 communicates with your PC and is designed for future capability with mobile products. 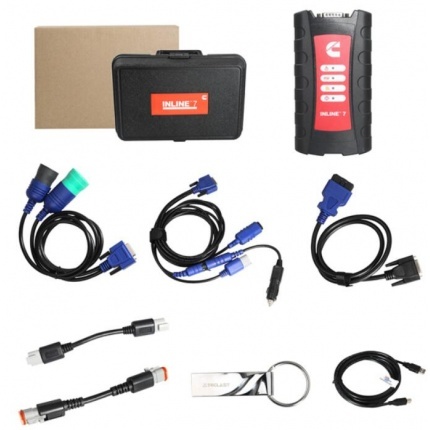 Everything you need from locking USB cable, 6-Pin, and 9-Pin Deutsch Wye adapter with security chip, 3-pin Cable, and rugged storage case is included in the complete INLINE 7 kit.